Perhaps more than any other team in baseball, the Los Angeles Angels have been held back by injuries in recent years. It appears as if the 2019 season will be no different. 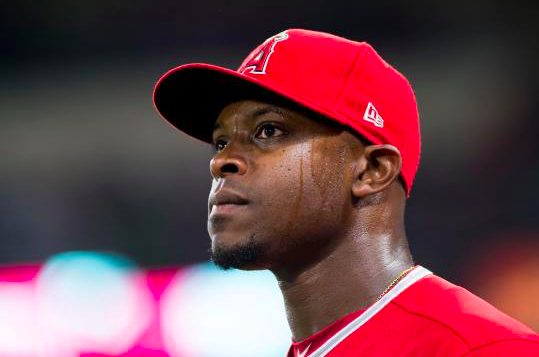 The club announced Friday night that outfielder Justin Upton will miss between eight and 12 weeks due to a turf toe injury. Needless to say, it’s a significant blow for the Angels to lose one of their best hitters for the early part of the season. Upton initially suffered the injury during a minor collision with the outfield wall in an exhibition game last weekend. The team was expecting him to only miss a few weeks. However, three different medical experts reviewed imaging of the injury over the past week and arrived at a different prognosis. Angels GM Billy Eppler described the injury as “a sprain that has some significance to it.” He’s expected to spend four weeks in a walking boot before beginning the rehab process. At the moment, the Angels are without both Upton and Shohei Ohtani, two players who are supposed to help provide protection for Mike Trout in the lineup. Ohtani began the season on the DL as he continues to rehab from Tommy John surgery. But the Angels are confident he’ll be able to serve as a DH this season. In the meantime, first baseman Justin Bour has been hitting behind Trout in the Los Angeles lineup. Taking over for Upton in left field for the moment will be Peter Bourjos and Brian Goodwin. They will likely platoon with Goodwin facing right-handed pitchers and Bourjos starting against lefties. Young outfielder Michael Hermosillo could return before Upton after offseason hernia surgery. Jarrett Parker is also an option, as he’s expected to return in May from an oblique injury. Of course, all of those players will be a drop-off from what the Angels expect to get from Upton this season. The 31-year-old outfielder has hit at least 30 home runs in three straight seasons. Despite a slight dip in his numbers during his first full year with the Angels in 2018, Upton registered an OPS of .808. His absence will no doubt put more pressure on players like Bour, Kole Calhoun, Andrelton Simmons, Zack Cozart, and Albert Pujols to pick up the slack behind Trout. It’s certainly not a good sign that the Halos were shut out by Oakland on opening day. Even if Upton recovers quickly and only misses eight weeks, it’s unlikely he’ll play in the majors until at least June. That’s a long time for the Angels to go without one of their best hitters. The Angels were already in a position where they needed a few fortunate breaks in order to compete in the AL West. With Upton set to miss significant time, it seems their bad fortune has struck again.